I recently spoke with Canadian comic book writer Ryan Ferrier about the comics he has coming out this year: Curb Stomp via BOOM! 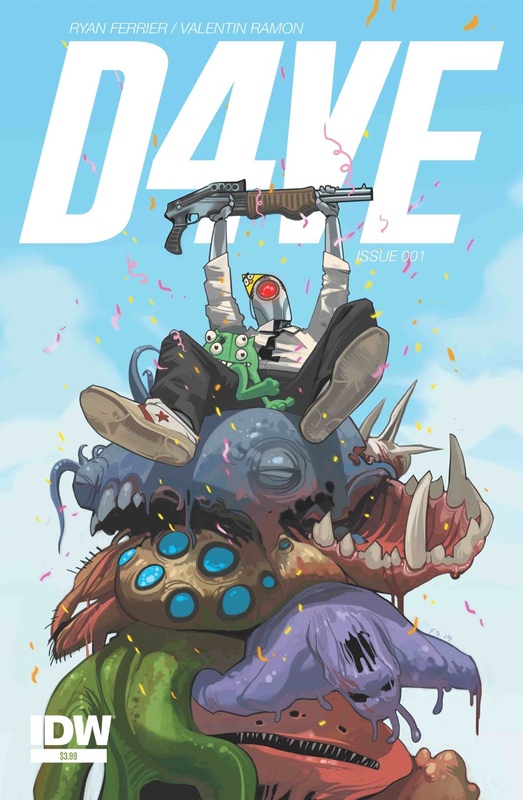 Studios (February), D4VE - initially from Monkeybrain Comics as a digital-first and now in print from IDW (February), as well as Sons Of Anarchy from BOOM! Studios (March). Talk about a great start to 2015! In part one of our two-part interview, Ryan and I sat down over coffee and breakfast at a local diner in Calgary. We talk about his career, where he started in comics, that first big idea, his fears and his advice for creators starting in the industry today. And if you want to see more Ryan's work go to Challenger Comics and also follow him on Twitter under @RyanWriter. So sit back, pour yourself a coffee, hit play on the Soundcloud link, turn up the volume up and listen to one of the nicest guys in comics. This is Ryan Ferrier: On the Rise, part one.